Transcend T.Sonic 350 - 8GB MP3 Player + Fitness tracker + Voice recorder + FM Player - Shock and Water resistance, long life battery, Vivid OLED display - Blue Copyright © 2019 ComXpert International CC - COPYING IS ONLY ALLOWED FOR THE PURPOSE OF SENDING US ENQUIRIES. E&OE. The extremely portable MP350 offers easy-to-use controls that can be operated instinctively, especially important when trying to change songs while on the treadmill. The attached sport clip lets you freely connect to pockets, backpacks, jackets or sport suits, giving you convenient hands-free music whether you’re working, exercising, or traveling. The versatile MP350 supports MP3, WMA, and WAV audio file types, allowing you to enjoy the most popular high-quality music formats, while its vivid OLED display can be viewed from any angle, even in bright sunlight. More than just a music player, the MP350 also functions as a USB flash drive, so you can transport, store, and share your favorite photos, videos, documents, and much more – all in the palm of your hand. © 2013 Respective owners and brand holders. This table has been carefully researched and generated by ComXpert International CC (//www.comx-computers.co.za), however, errors and omissions may occur. Only references to South Africa apply. All products are sourced in South Africa from the official suppliers and the warranty is that of the local supplier. E&OE. This table and our site's content may be used on condition that this notice and link remains intact and unaltered. Note *Max. playback time achieved with screen saver is enabled and “Lyrics Sync”is disabled. 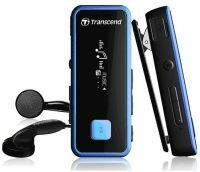 The best price and guaranteed service and backup from official computer suppliers in South Africa for the TS8GMP350B Transcend T.Sonic 350 Blue 8GB MP3 Player + Fitness tracker + Voice recorder + FM Player. The Transcend TS8GMP350B Transcend T.Sonic 350 Blue 8GB MP3 Player + Fitness tracker + Voice recorder + FM Player is available for R671. The product is sold by ComX Computers as new. Prices are valid today 2019-04-22 (before 2019-04-23 , by quote, while stocks last). The product is expected to be in stock, although this is not guaranteed. Find related TS8GMP350B Transcend T.Sonic 350 Blue 8GB MP3 Player + Fitness tracker + Voice recorder + FM Player products in our MP3 WMA audio players Category for even more options. Read reviews and find out about TS8GMP350B Transcend T.Sonic 350 Blue 8GB MP3 Player + Fitness tracker + Voice recorder + FM Player. Discounts, specials and cheap prices only at ComX Computers.